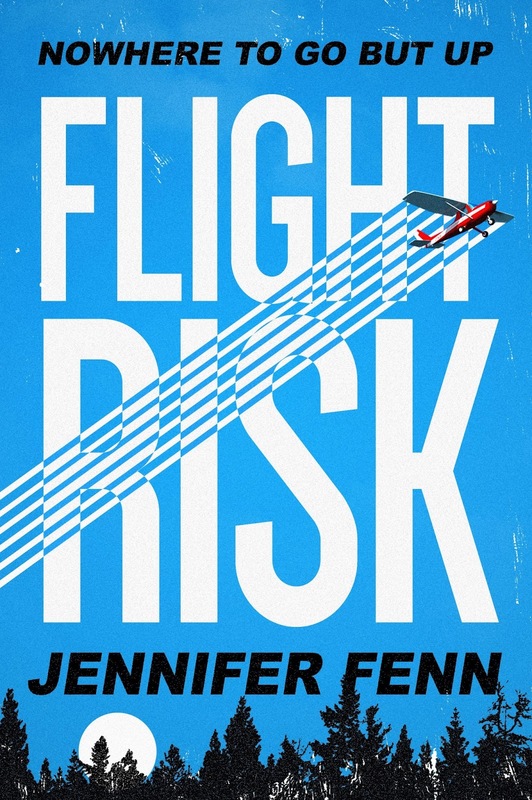 Jennifer Fenn is the author of the new young adult novel Flight Risk. 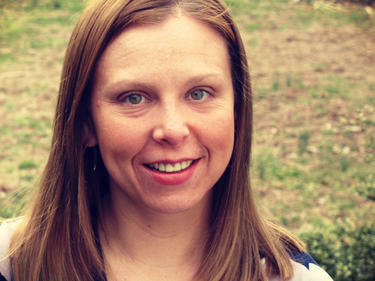 She has been a middle school language arts teacher, and has written for a variety of publications. She lives in Downingtown, Pennsylvania. Q: Flight Risk was inspired by a true story. What intrigued you about it, and at what point did you decide it would make a good book? A: Flight Risk was inspired by the story of Colton Harris-Moore, dubbed The Barefoot Bandit, a teenager who evaded police for two years and stole several planes before he was eventually caught in Bermuda. His story is fascinating. As a teenager without any flight training, how did he pull it off? And perhaps more importantly, why? I became aware of this story while Harris-Moore was still on the run, and I found myself—a writer, a teacher, a generally law-abiding citizen—rooting for him not to get caught, which led me to examine why society loves certain anti-heroes, including fictional ones, like Walter White and Tony Soprano, for instance. The basic facts of the story provided a vehicle to tackle many other interesting topics, such as how schools approach students with ADHD and how stories are shaped by cable news pundits. Q: What did you see as the right blend between the factual basis of the story and your fictional creations? Robert’s background and motivations are invented, as are all the secondary characters and their stories. Robert’s particular personality quirks were also inspired by several of my former students. As I drafted and edited, Robert’s story diverged from Harris Moore’s more and more. As the character developed, I didn’t feel any obligation to remain true to the facts of Harris Moore’s life and I don’t claim to tell his story. Yannatok Island, where Flight Risk takes place, does resembles the actual islands off the coast of Washington where the real events occurred. Sticking to that general geographical area helped me create a realistic setting. I wanted to keep technical details involving airplanes and flying accurate, but I fictionalized heavily when it came to the narrative. Q: You tell the story in a variety of ways, including "interviews" with other characters. How did you come up with this approach? A: When I began my first draft of this novel, I was also teaching 7th grade Language Arts and one of my classes was reading Jerry Spinelli’s wonderful Maniac Magee. That book opens with a jump rope rhyme about the title character and all his exploits, which have been mythologized by the neighborhood kids. That got me thinking about how folk heroes are created today, in the age of social media and how a myth can grow around a person and becomes something apart from them and beyond their control. I wanted the interviews to show how different characters embellish Robert’s story as his notoriety grows. Everyone thinks they know the "real" Robert Jackson Kelly, but their interviews highlight the difference between the public perception of Robert and his real motivations and feelings while he’s on the run. I also love books that utilize a strong voice. Using the interviews allowed to write in more than one voice, while also using a close third-person point of view to get inside Robert’s head, which I enjoyed. A: I wrote the ending of Robert’s story early on, and the book’s last sections changed very little throughout the writing and editing process. The image that ends the novel was one that stuck with me as I moved through several drafts. This novel actually began as a flash fiction piece, which ended with the same scene. I nearly always write the end of my stories first. In fact, until I come up with at least an image, a single sentence, to end on, I don’t start. I don’t outline, so I like having a target I’m writing towards. Having that image in place also helped me build image patterns and foreshadowing throughout the novel as I drafted. The ending of Robert’s story felt inevitable to me. There’s a sense of fate that I hope comes across in the narrative. A: I’m working on my next young adult novel, which is currently untitled. This novel is about a teenage drummer in a successful rock band who is deaf. The story deals with how undergoing cochlear implant surgery impacts his musical talent and his relationships with his girlfriend, bandmates and family. I’ve enjoyed learning more about both the Deaf community and the music business while drafting this novel.